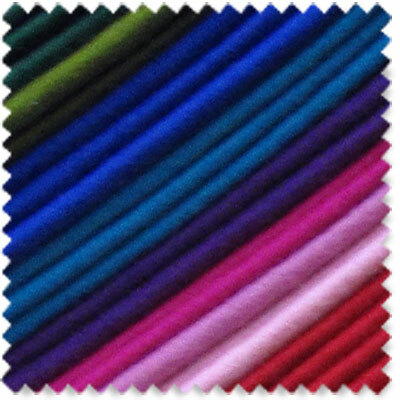 Pure new wool felt is a great fabric for applique, flower making, quilting, embroidery, scrapbooking, cardmaking, Christmas gifts and decorations plus so much more. Available in over 70 colours including reds, greens and white, which are perfect for Christmas. Sweet Souvenir from Inspirations issue 72 uses number 31 (lavender). Felt size is 20cm x 30cm (8″ x 12″). 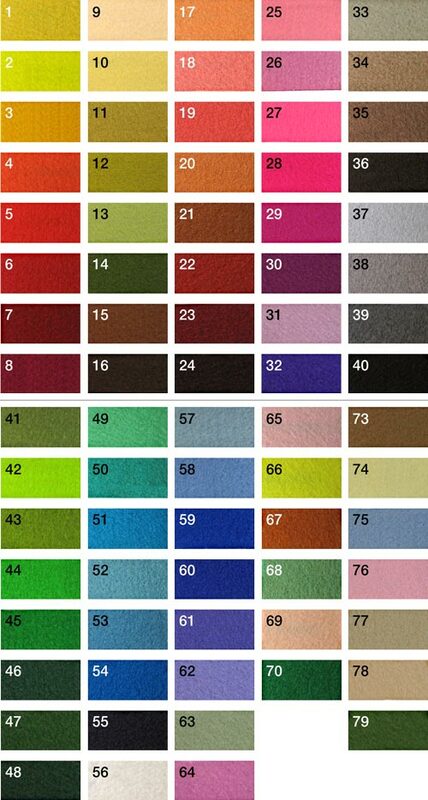 Please note that colours 71, 72 and 80 are not shown because they are not available. Be the first to review “Pure Wool Felt” Click here to cancel reply.